Now on view at the Hallmark Art Collection Gallery, this exhibit chronicles 125 years of poster design, a modern art form given impetus by the advancement of color lithography techniques in the nineteenth century. In the 1880s, vanguard artists such as Henri de Toulouse-Lautrec seized upon this new and versatile method of mass reproduction, creating designs that were as poignant and provocative as their own drawings and paintings. While primarily conceived as advertising vehicles, original posters by modern masters are now as prized as any printmaking media. 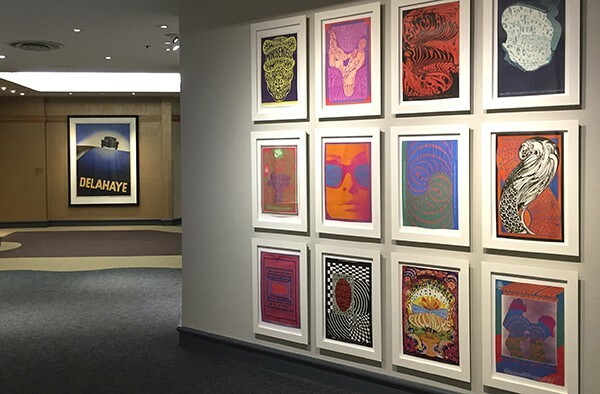 Today, activist artists such as Shepard Fairey, continue to favor the poster medium as a unique hybrid of graphic communication and fine art, creating works that are equally cherished by collectors. This visually stimulating exhibit is on display through June 17 at the Hallmark Art Collection Gallery in Hallmark Visitors Center in Kansas City, Missouri.